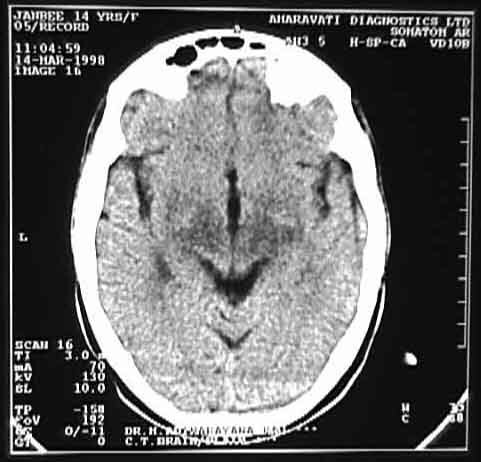 14 Y Female referred to CT with chorea. 2. 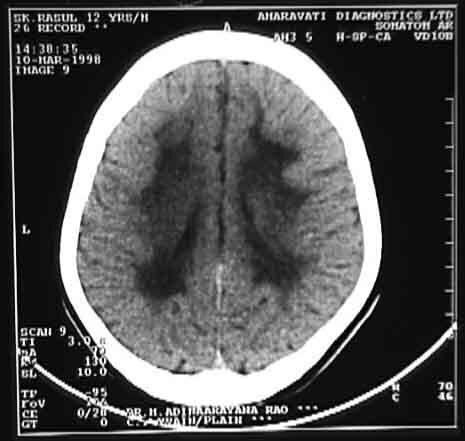 Bilateral symmetrical hypodense area in the Mid brain, Basal ganglia, Thalamus, Parietal white matter. Wilson disease is autosomal recessive inherited disorder . Deficiency of copper transport serum protein ceruloplasmin resulting in accumulation of Copper in various tissues.WD can occur at any age but symptomatic between ages of 8 &16years. 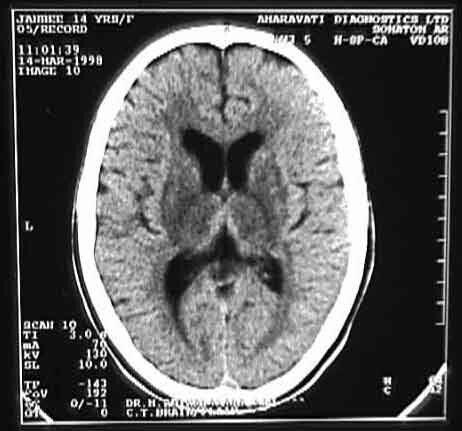 Neurological symptoms are due to accumulation of copper in basal ganglia, indirectly as an encephalopathy complicating progressive liver disease. 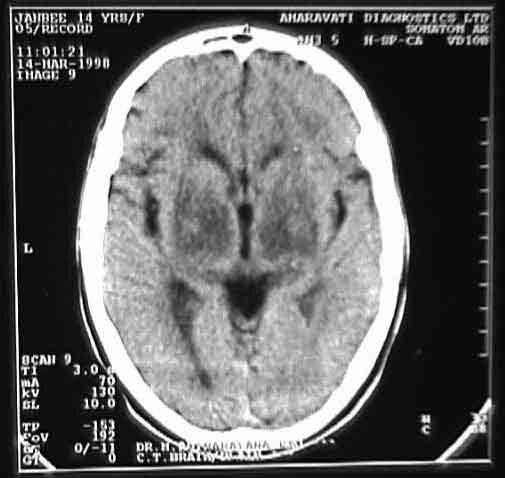 Diagnostic neuro-radiology by ANNE G. OSBORN.